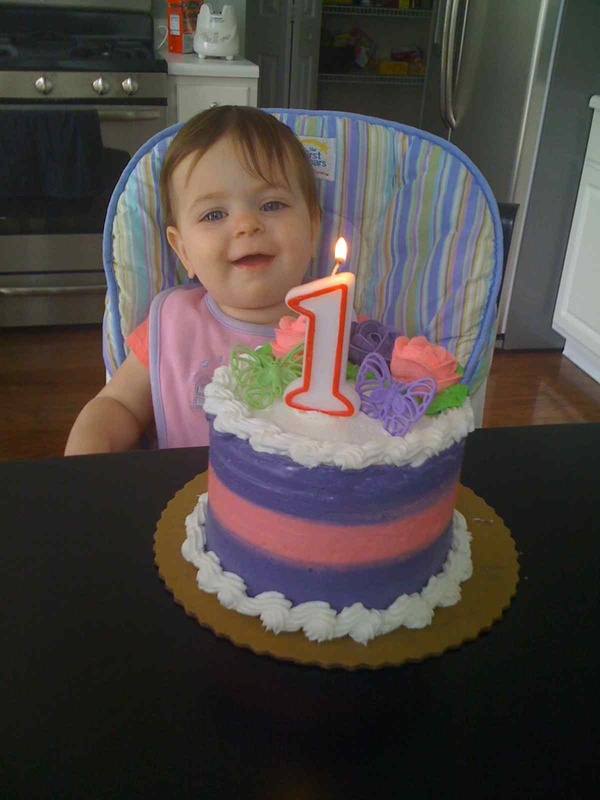 Our little princess turned 1 (she actually turned 1 a couple of months ago, but I’ve been a total slacker lately and am just now getting around to writing about it)!!! 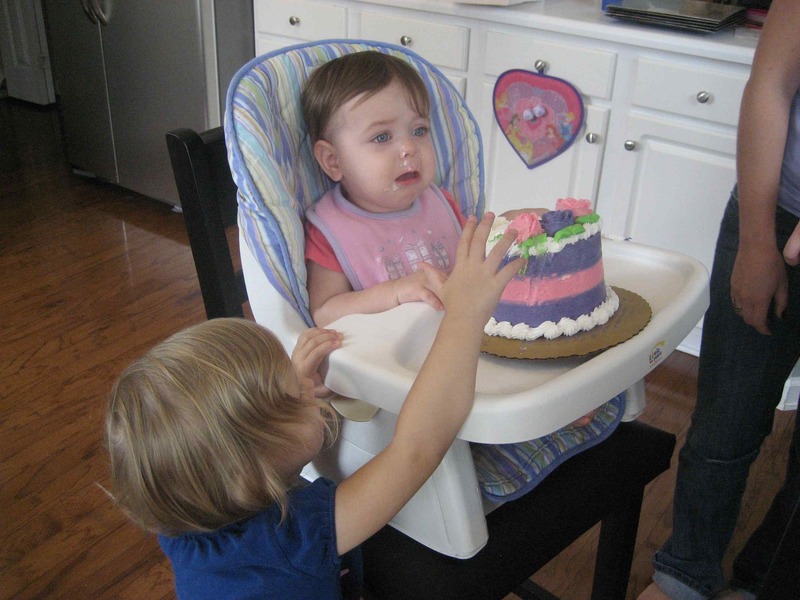 We had planned a birthday party for her, but the day before the party she came down with a massive cold, ear infection, and 103 degree fever, so we cancelled the party. That’s Elise though, we make plans, and she changes them. My parents and sister were in town though, so we were able to have a small family party with them. Elise found the candle to be interesting. 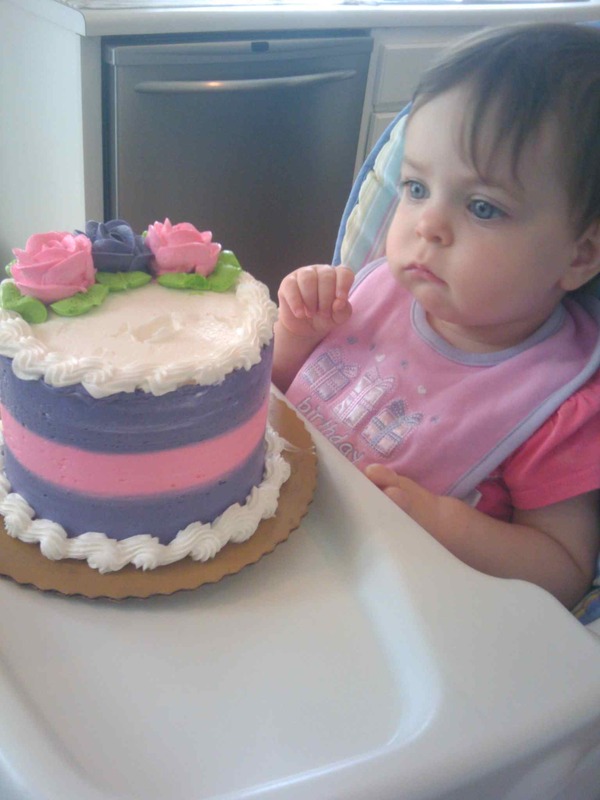 Then she just stared at the cake for a LONG time. I finally put a bit of the frosting in her mouth, and she started crying. 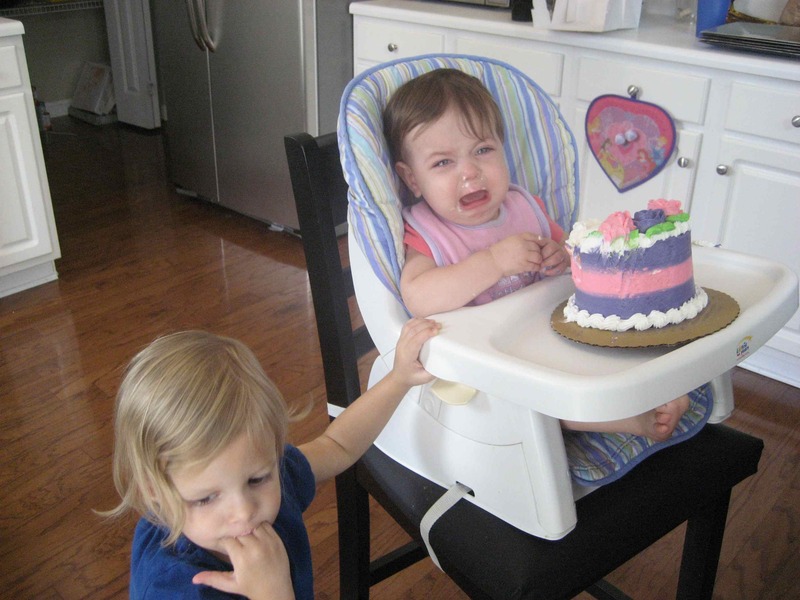 But, what’s a 1st birthday without a few tears, right? 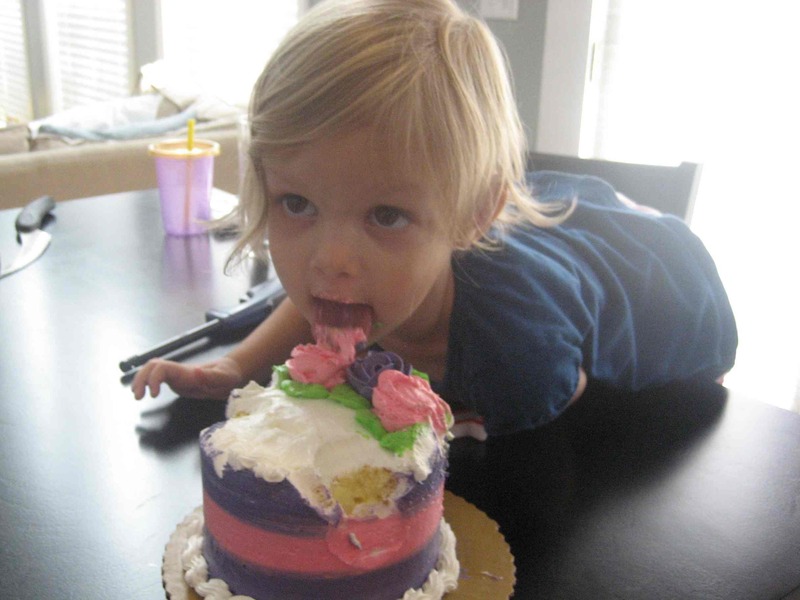 Audrey, however, loved the cake. Warning: This video is just some of my favorite pictures from Elise’s 1st year of life that I wanted to collect into one video. I highly doubt that this would be of interest to anyone that’s not directly related to us. Consider yourself warned. Happy Birthday Elise! We adore you, and love all the laughter, drama, excitement, and joy that you bring to our family!